Confidentiality is the biggest area of concern for law firms when preparing directory submissions. 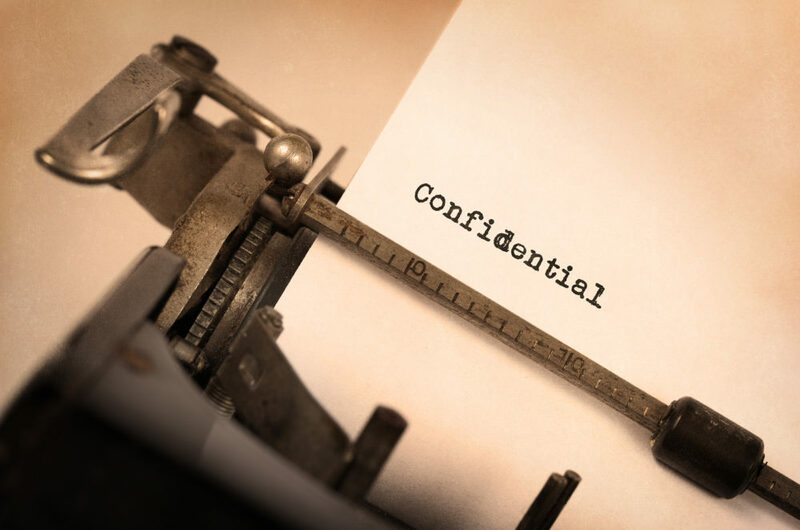 Questions around confidentiality generate more queries than anything else – what does confidential mean? How do the directories use matter information? What’s publishable and what isn’t? Law firms grapple with these issues on a daily basis. Below is a guide to the different ways you can present your matters to the directories. 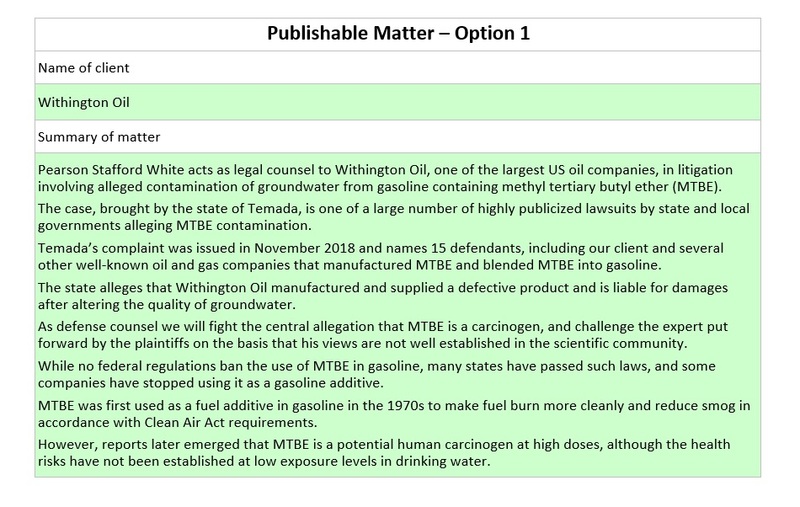 Using an example written in the standard Chambers submission template (the same concept applies to other directories as well), I have described the same matter in five different ways, with an accompanying explanation. The order of the matters – all other things equal – reflects the priority in which you should try to describe matters. All names are obviously made up. 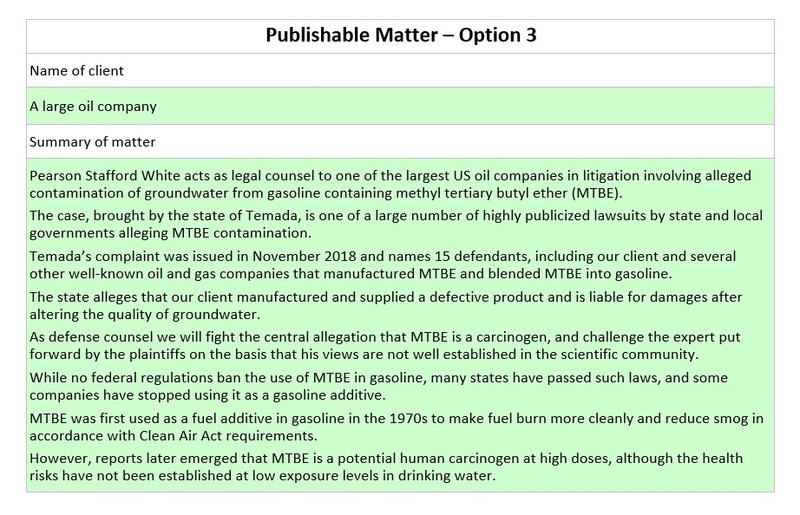 In this option, we use real company names and the matter is marked as publishable. This is the best way to present matter information – if possible. Firstly, by using actual names you provide real, tangible information to the directories. They can see exactly what you have done and for whom. Secondly, by marking the entry publishable, you give permission to the directories to publish any part of the matter entry. Without any restrictions in place, you maximize the amount of information the directories have to use – both in the course of their research, and when they write their editorial commentary. With this option, the matter description is identical to option one above. Again, we use real company names. 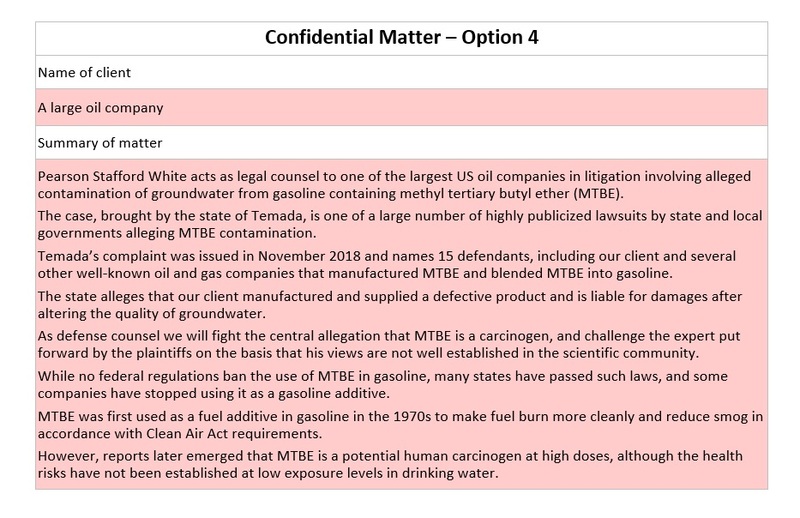 The difference here though is that the whole matter is marked as confidential. No part of the matter can be published – in print or online – or otherwise circulated in any way. The information is used purely by the directories for internal research purposes, and only a small number of people will ever see the text. The directories take confidentiality seriously, and the directories will never release such information publicly. Use this option if you want the directories to see and appreciate the quality of your work, but you don’t want them to publish it. Most submissions contain a mixture of matters written in the style of option one and two above. However, there may be times when you can’t or don’t want to reveal the actual names of the companies or parties involved. In this instance, you would refer to the entities using generic or anonymized descriptions. Matters like this are less persuasive than using real names and impossible for the directories to validate. They are also dull to read. Go for option one or two ideally, but drop down to option three if you are unable to name the parties. In this instance, the entry is marked as publishable. To be clear, that means the directories can publish any part of the text if they wish. That doesn’t mean they will try to find out the real identities of the parties. It means that you have given permission for them to publish any part of the text in front of them. 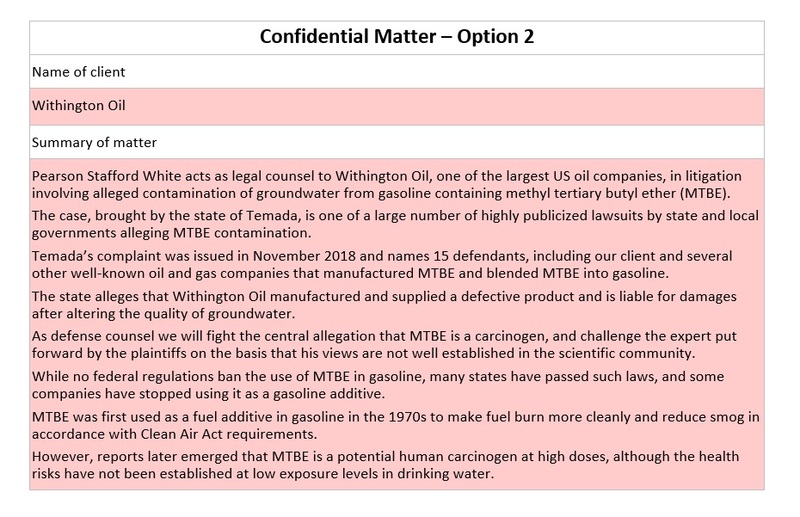 Here the text is identical to option three, but the entry is marked as confidential. That means that no part of the matter can be published or circulated. Avoid this option if you can, and only use if none of the three options above are possible. By not identifying real names, and by prohibiting the directories from publishing anything, you are not giving the directories much to use, or making a persuasive case to them. Occasionally matters are so sensitive that partners are nervous about including them in the submission in any form, even on a confidential/non-publishable basis. Attitudes vary from person to person – some are more relaxed, some more cautious. Naturally the directories want to see evidence of your best work, and it will help you and the firm to showcase your most impressive matters, but don’t risk an important client relationship or breach client confidentiality. Share the post "Confidentiality: How to Present Matters in a Legal Directory Submission"